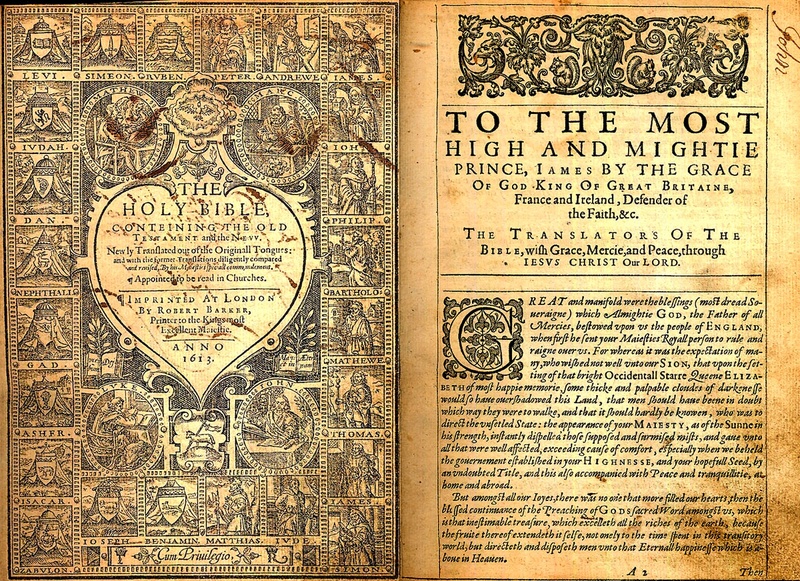 Many people today never encounter the English of the Authorised (King James) Version of the Bible of 1611 or the Book of Common Prayer of 1662. This is a huge gap in their literary education. Not just because both are on a par with Shakespeare, in my opinion, as the most beautiful English ever written. These two texts were the linguistic and philosophical bedrock of all serious writing in English in the 17th, 18th and 19th centuries. Anyone wishing to sway opinion would express their thoughts in religious imagery taken from these two sources. That included free-thinkers, radicals and atheists like Robert Owen of New Lanark. Many radical writers and activists of the period were inspired as much by biblical ideas as political ones, regardless of their personal beliefs. There is a tendency to underestimate the level of literacy in 18th-century Britain, especially among artisans and tradesmen. Estimates have too often been based simply on how often people could write their name on a document. This only shows how many could write. Yet many people below the middling classes could read, even if their writing ability was poor. Reading was important to protestants, especially dissenters. You needed to be able to read your Bible. Even those without regular schooling would be taught to read at Sunday Schools. How were they taught? Through learning to read their Bibles. Biblical language was the written language they were most familiar with. It resonated most with their thoughts on correct behaviour. Parallels could be drawn between political ideas or events and familiar Bible stories. Tories were associated with High Church views (including preservation of the privileges and exclusions of the established Church of England). Whigs were associated with latitudinarianism and Protestant Dissent. Both sides continually quoted scripture for their own purposes. Whigs were champions of Parliamentary rights against the Stuart model of absolute monarchy, developing an anti-Catholic, militantly Protestant political rhetoric. Tories claimed the high ground of traditional attitudes of deference to authority and submission to God’s plan for government, but were often seen as tainted by their long-term support for the Catholic Stuarts. Increased literacy opened new channels for your message. If some people couldn’t read well enough to grasp it fully, there would be others in a group who would read things aloud for them. People shared newspapers and pamphlets. And they didn’t just read. They argued and discussed the ideas they found. Printed pamphlets were a favoured means of widespread communication on all sides. They were cheap, easy to read and easy to pass from hand to hand, secretly if need be. One followed another as rebuttals were produced and counter-rebuttals followed. That was how Tom Paine’s radical message was spread on both sides of the Atlantic. His mocking style as much as his actual arguments were widely influential. He knew making figures of authority into figures of fun undermined their position more effectively than abstract arguments. Today we don’t think of sermons as an outlet for propaganda, yet in the 18th and early 19th centuries they were a major influence. Popular preachers attracted huge audiences, limited only by the capacity of the building. They preached to vast crowds in the open air. To spread their words even more widely, they had their sermons printed as pamphlets or collected into books. Who would buy a book of sermons today? In Georgian and Regency times, they were best sellers. Religious teaching was conscripted in support of both political factions, radical and conservative. People regularly attended churches or chapels, so were used to hearing important messages from the pulpit. Appeals to biblical authority had been second nature since childhood. Selective quotation of biblical verses was the most common way of claiming attention for a message. The conservatives demonised their opponents (literally), specialising in playing on fears that change would lead to widespread disorder and personal loss. Radicals had a more difficult message to get across, since change is always less welcome than the status quo. They had to appeal to hope for a better future. If one side offers you jam tomorrow and the other threatens eternal damnation, plus persecution today, people are going to tread carefully before rushing to the barricades. Of the two kinds of appeal possible to conservative forces, that to the eternal commands of God was more powerful that the one to man-made tradition. The radicals responded by quoting Biblical passages supporting their own point of view. From the emancipation of the slaves to the improvement of conditions for the poor, reformers relied on religious ideas, especially ones derived from the growing power of evangelical Christianity, to bolster their arguments. Thomas Paine’s “Common Sense”, sometimes credited with being one of the driving forces behind the American Revolution, is written as a kind of secular sermon blending religious and political imagery. Even the sounds and patterns of his language recall biblical precedents. That alone would have conferred a aura of authority that the modern reader is likely to miss. For example, Paine’s attack on government by monarchy brands kings as blasphemous usurpers claiming an absolute authority that belongs only to God. His decision to support the cause of rebellion is portrayed as a kind of evangelical conversion. And if, as he asserts, the colonies are essential bastions for religious liberty against forced conformity, it must be a religious duty for Americans to take up arms to protect freedom of conscience, as much as a political one. … the early received and uniformly continued sense of mankind. That sense not only, like a wise architect, hath built up the august fabric of states, but like a provident proprietor, to preserve the structure from profanation and ruin, as a sacred temple purged from all the impurities of fraud, and violence, and injustice, and tyranny, hath solemnly and for ever consecrated the commonwealth, and all that officiate in it. This consecration is made, that all who administer in the government of men, in which they stand in the person of god Himself, should have high and worthy notions of their function and destination; that their hope should be full of immortality; that they should not look to the paltry pelf of the moment, nor to the temporary and transient praise of the vulgar, but to a solid, permanent exercise, in the permanent part of their nature, and to a permanent fame and glory, in the example they leave as a rich inheritance to the world. You cannot sound much more biblical than that! The real surprise is that, despite a battery of political dirty tricks outdoing even the worst modern dictatorships, the governments of Georgian and Regency times never managed to do more than drive the radicals underground for limited periods. Even the fear of Napoleon and typical British xenophobia couldn’t stop the slow progress towards political and social reform. Radicalism burst out again in full fury after 1815. And as evangelical forms of Christianity seized the upper hand amongst ordinary people, even the old conservative religious notions of ‘each in his proper place’ were swept aside by demands for justice and moral behaviour by those who ruled. High Church ideas favoured deference, traditional hierarchies and outward forms of religion. Dissent wanted evidence of inner change. By the 19th century, the latter was unstoppable.